The AirForce TalonSS is a quality PCP (Pre-Charged Pneumatic) air rifle with a definite "one-of-a-kind" look. The TalonSS features a Lothar Walther premium match grade barrel and three accessory rails for mounting scopes, lights, lasers, night vision equipment and other sighting devices. In addition to all of that, the TalonSS features a 12" Lothar Walther barrel and an integrated sound reduction system. This system allows for unobtrusive indoor or backyard target shooting at noise levels comparable to quieter spring piston airguns. All in all, this unique air rifle is a must for PCP fans everywhere. A masterful design plan takes shape. From it's original design the Talon has been modular and customizable. With the addition of the 24" barrel the Talon takes on a whole new dimension. Adding the 24" barrel allows you to change your existing Talon into a completely new rifle. The Air Force Talon allows you to quickly and easily change from the SS version to the ultra high power 24" model just by changing the barrel. You can go from a 22 fpe rifle to a super magnum 40 fpe in less than 3 minutes. You have two options for achieving this incredible power. If you currently own a Talon just purchase the 24" barrel and you are ready to go. 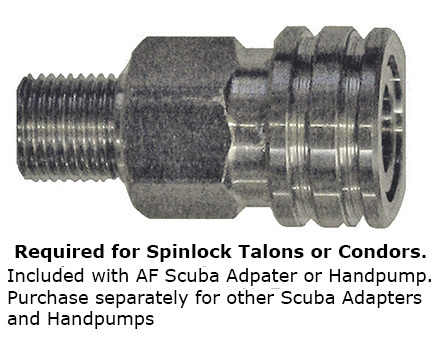 If you are new to the Talon family, purchase the TalonSS in either .177 or .22, then purchase the extra barrel at the same time. The TalonSS will give you the quiet you need for indoor or backyard shooting while the 24" barrel will give you the power for long range shooting or hunting. The Talon SS air rifle gets the prize as being the most unique PCP (pre-charged pneumatic) we've ever tested. It is a very ultra modern looking rifle that uses the air tank as a stock and has accessory rails all over the place. And the performance is something to note as well. It shoots in the 22-27 fpe ranges depending on the pellet used. That is very respectable, as you'll see from the velocity results. We also found it to be quite accurate with most pellets although like all rifles, it will perform best with one or two specific pellets. Although which pellets will vary from gun to gun. The Talon SS is a single shot rifle with adjustable power levels. There are two different ways to increase or decrease the power settings. That gives a shooter maximum flexibility for every shooting situation. One hint about this rifle though. It definitely needs a high mount rather than a medium high mount. 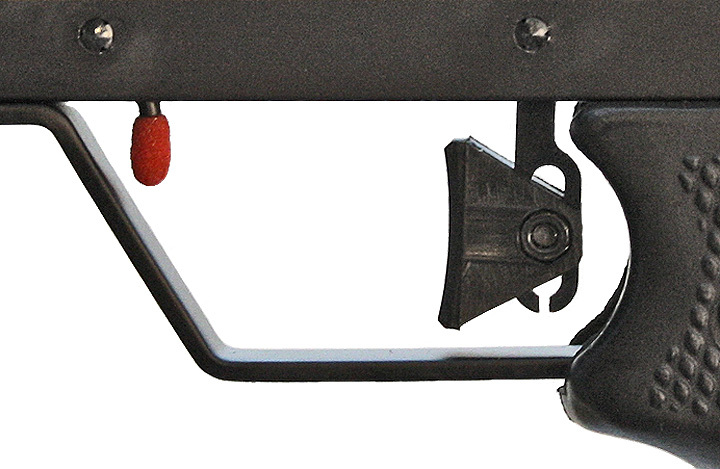 The high mount allows a shooter to hold his head in an upright position. 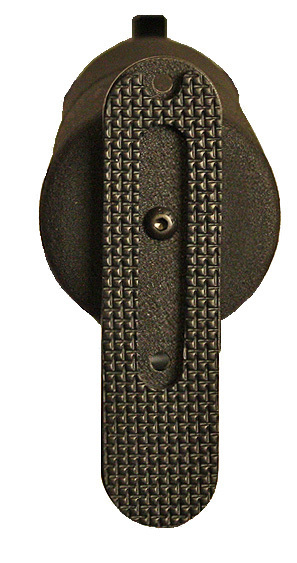 A medium high mount forces the shooters head to lean far to the side which is very uncomfortable. So be sure to order a high or even an ultra-high mount for this rifle. Mount suggestions would include the Beeman 5030H, 5036, 5039 (adjustable) or the BSquare 17701 or 17002 adjustable mount .You'll find this to be a fine gun to shoot with the proper mounts and scope. We think it's a winner and pretty quiet as well in shrouded (SS) configuration. We tested the gun on Power Level 9. There are 12 "power level indicators" although you can stop in between any of the numbers. 12 is the top number but we found that the gun gulps a lot of air at the 12 level yet doesn't make a large amount of difference power-wise. We found the 8-9 power levels yielded the best combination of power and number of shots.